Let me get this out of the way right now, Superman is my all-time favorite superhero. That being said, Action Comics has been either hit or miss while the self-titled series has been completely uninspired since the inception of the New 52. 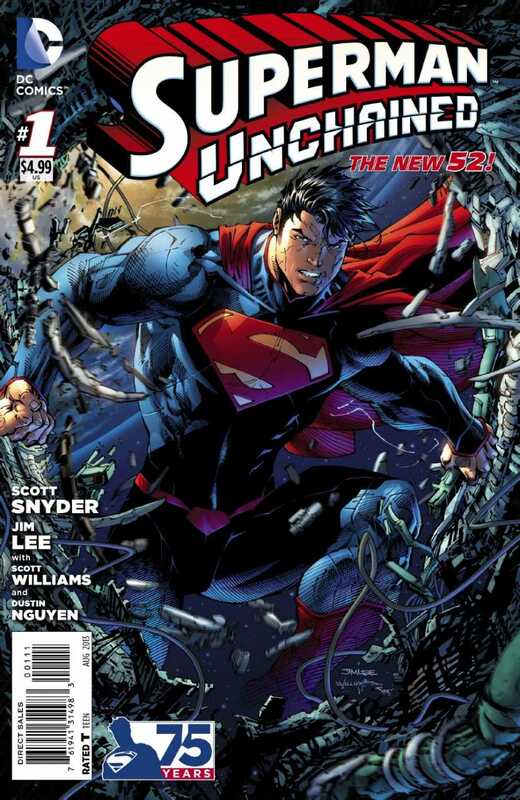 Superman Unchained changes all of that. I was curious as to how Scott Snyder would approach things since his amazing knack for storytelling has been predominately with street level characters. Rest assured, Snyder manages to put a fresh coat of paint on this 75 year old classic. For starters, he actually made the book about Superman instead of focusing on the complexities of everything around him, such as his personal and professional life. Those elements come into play when Lois informs Clark of an error in his news article which prompts him to put on the cape and investigate the matter. Other characters from Superman folk lore also make an appearance and they were used for the purpose that they were intended. Jimmy Olsen augments Clark Kent’s humanity as he receives a helping hand, including an attempt to be covered for, to avoid the wrath of his boss. The alien-hating General Sam Lane is not central to the story, but he brings about what could be Superman’s biggest threat. Jim Lee’s legendary splash pages encompass your imagination as the action unfolds in front of your eyes. I mean it. It literally unfolds in the form of a beautiful gate fold poster with so much action that it couldn’t fit on one page. While due to some dull moments, it is not a grand slam by any means, the newly heralded dream team Scott Snyder and Jim Lee have set the standard for what a Superman comic book should be in 2013.